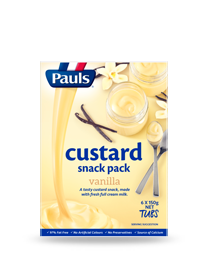 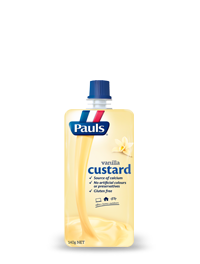 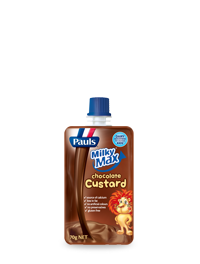 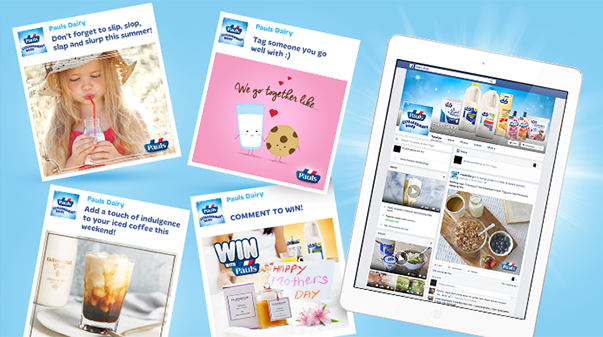 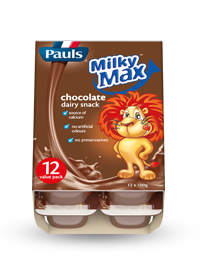 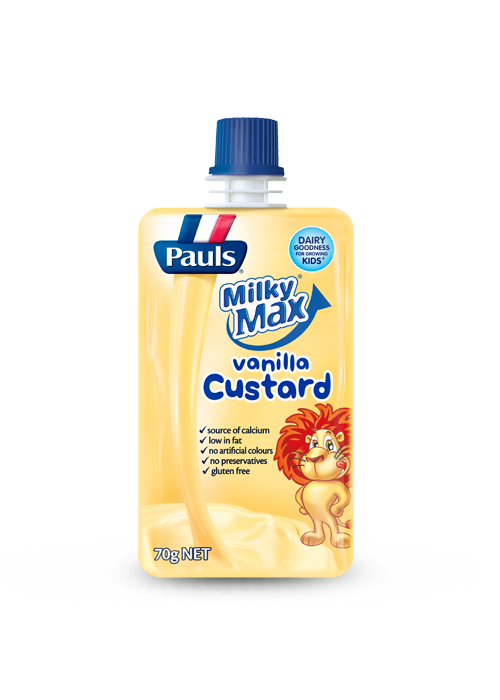 Pauls Milky Max Vanilla Custard Pouch is the perfect snack for your kids lunch box! 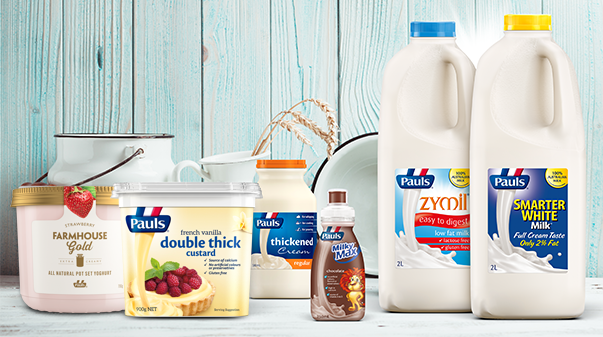 Not only is it delicious, but it's packed with dairy goodness. 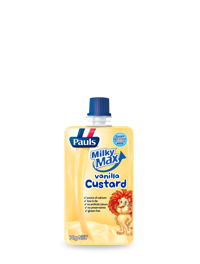 Milk, sugar, milk solids, thickener (1442) (from tapioca), stabilisers (452, 407, 415), flavour, colour (160a).